In this lengthy Grubstreet piece, Mark Bittman and David L. Katz answer every food question the readers and editors of Grub Street could think of. What’s for dinner this week? Urban Roots side dish kits. In our How’d You Make That segment, Marisa and Joy talk over the fine art of fishcakes. We’ve chosen a theme for the next year of Local Mouthful Cookbook Club Potlucks: The books of Deborah Madison. As for what we’re loving: It’s dish gloves. If you like what you hear, make sure to subscribe! Bonus points if you rate us or leave a review. 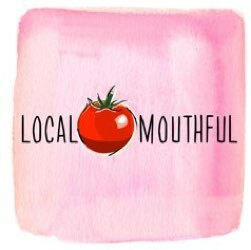 Follow us on social media @localmouthful and help us spread the word about the show. I’m excited about your new potluck series! Can you please add me to the potluck mailing list? Thank you! I would love to be added to the potluck mailing list. Thank you! Please add me to your potluck list! Thank you! I would love to be added to the potluck list as well! It’s a bit late, but I’d love to be added to the potluck mailing list!